deter our local golfers who happily get the ferry over to St Thomas to play at Mahogany Run. 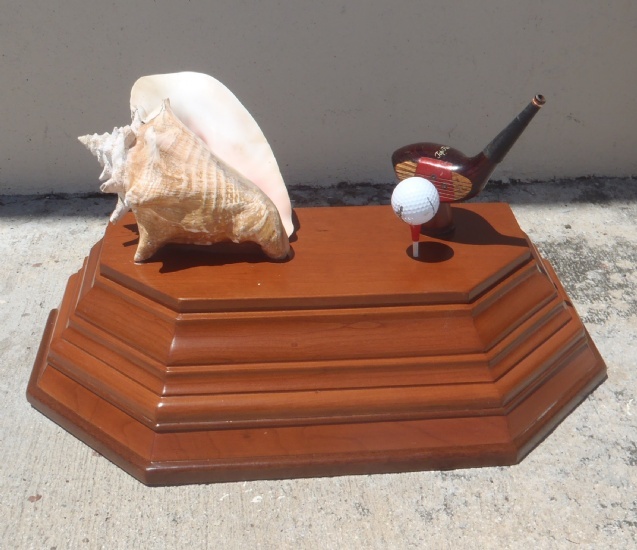 A new tournament was added to the BVI calender this year “The Conch Cup” which was held on 21 July. 20 golfers took part including our very own Brian Gandey who is a very keen golfer. The tournament was won by Adrian Sinton with 38 stapleford points after an almost flawless round of golf. of dancers and floats parade through the town. It is a spectular sight with colourful costumes, dancing, mocko jumbies and lots of loud music. Combine all ingredients except the coca cola in a blender with ice. Blend until smooth, pour into a tall glass and top up with coca cola. You will need a big straw!! upmarket beach bar in Spanish Town that has a beach firepit?